I think this is the best image that you have made. It's wonderful! oooh yeah, I love it Nikos, fits really well with my current theme!! Thank you for the idea, I have just uploaded the wallpaper with the name WBG. I wanna know how to put this in! How would i do that.. Yes i'mma idiot..
Hey dude or dudette! Can you make the same one but with xp pro on it? Otherwise-very cool! Can you e-mail me ( adni18@skinbase.org ) with all the details, what version of logon Studio are you using, how you have install it etc. this file is downloaded as 'welcome.logonxp' delete the period in the middle, and add .rar at the end, so it looks like 'welcomelogonxp.rar' (press OK on the 'may become unstable' box) after that, extract the file, then copy the "Welcome" folder to the Logon Studio directory. 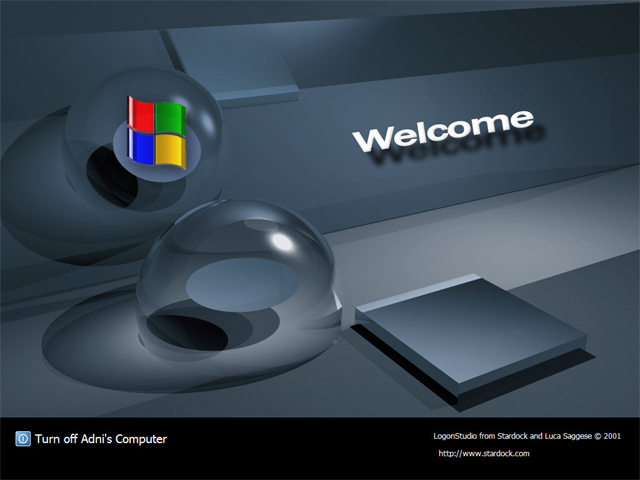 Then open up logon studio, select 'Welcome' as your logon screen, and click OK.
Just a double click on .logonxp file is not enough? The method that you mention is good and it works also, if you rename the file to "Welcome.zip". can u tell me where i can get the program logon Studio? using this. love it good job adni18.